Today we took our little guy for his first trip out to the campground. My parents spend most of their weekends at the campground but we haven’t been out there for a couple of years. My little guy loves the outdoors (gets that from his dad!) so we packed up for a fun afternoon outside. I wanted to find some easy camping recipes that I could make out there so I headed over to the General Mills Life Made Delicious site to do some searching. I settled on three recipes: Taco Beef Burgers, Grilled Picnic Taco Nachos and Brownie & Fruit Kabobs. Sounds delicious, right?! I’ll share all of these recipes here with you. Before I get into the recipes, did you know that we have a free printable Camping Scavenger Hunt game? It’s a lot of fun for the kids and a great way to get the parents out for a walk to explore the area. My little guy is a bit too young for scavenger hunt games but we did take him for a few walks around the area today. He looks so cute running down the paths and waving at all his new friends. Be sure to also check out our special Camping Party section for more ideas for recipes, camping activities and more! 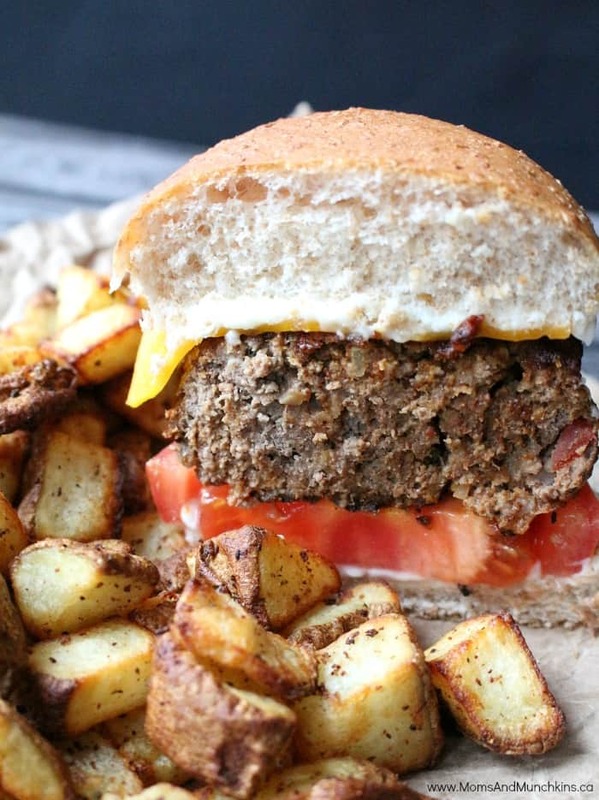 These delicious burgers have just enough spice to wake up your taste buds but not so much spice that you think you’ll breathe fire. They are delicious topped with a cheese slice and a bit of chipotle mayo. Combine beef, seasoning mix, salsa, breadcrumbs and egg. Form into 6 patties. 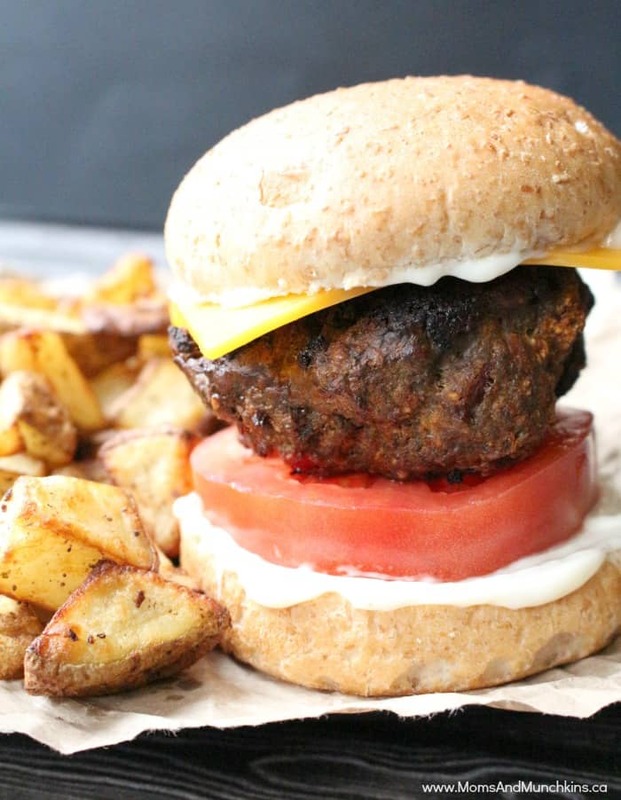 Grill burgers 6 to 7 minutes, flip and cook another 6 to 7 minutes or until no longer pink inside. Top with cheese during last 2 to 3 minutes of cooking. Serve on buns. 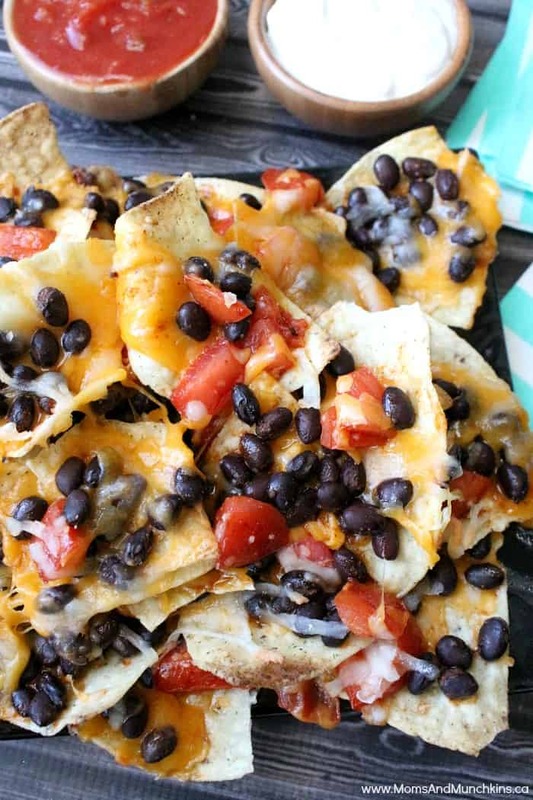 I love nachos but had never thought of cooking them on the barbeque before. These Grilled Picnic Taco Nachos (recipe found through this link) are really easy to prepare and take only minutes to cook. It’s a great snack to make when you have unexpected visitors pop by your campsite. This recipe calls for bananas, strawberries and pineapple but you can substitute with almost any fruit you have on hand. After all, anything tastes good when mixed with brownies, right? You can't go wrong when mixing brownies with fruit! Make brownies as directed on package and let cool completely. Cut brownies into 1¼-inch squares. Line cookie sheets with waxed paper. 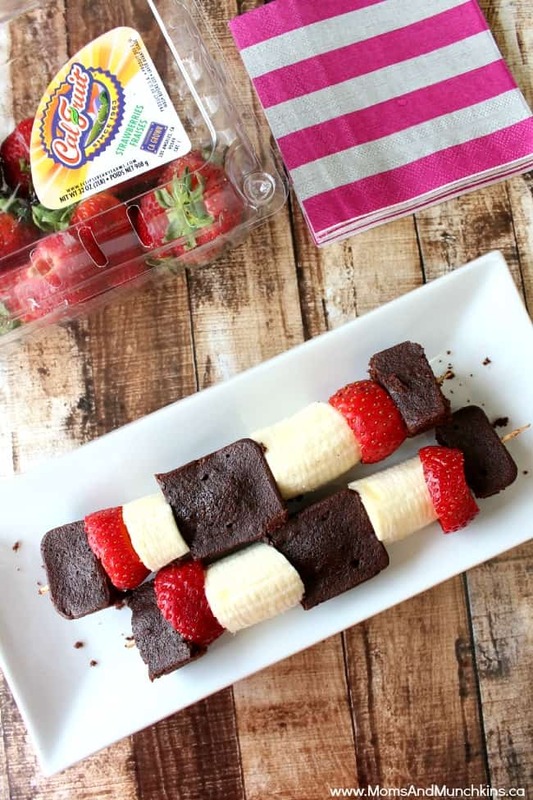 Alternately, thread brownie squares, pineapple chunks, strawberries and banana slices on each skewer. Place kabobs on waxed paper. In small microwaveable bowl, microwave chocolate chips and butter uncovered on High 1 to 2 minutes, stirring once until chocolate is melted. Do you have any favourite easy camping recipes? Let us know in the comments below. 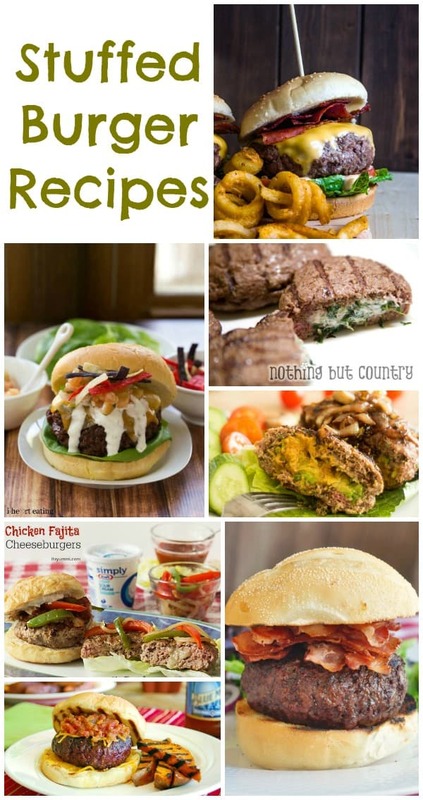 For recipes that may not be as easy but are certainly delicious, don’t miss this collection of Stuffed Burger Recipes. Never miss a delicious update by following us on Facebook, Twitter, Pinterest and Bloglovin’. Disclosure: I am part of the Life Made Delicious. Blogger program and I receive special perks as part of my affiliation with this group. The opinions on this blog are my own. Thanks for sharing these kabobs. We are having a family camp this summer and these would be perfect! Just stopping by from Tasty Tuesdays! I made those brownies last year, they are so good!! Great camping ideas! Thanks for sharing at Simple Supper Tuesday. Such timely family holiday flair. Thanks for sharing. This is great! Thank you, Emily! That’s great – thank you! These are awesome recipes. My son loves tacos and so these would be great. We usually make taco in a bag but this will be a great change. We camp every weekend because we are involved in a large Drama Production away from our town, that involves us every weekend. So I love trying something different. I found that the Costco sells an incredible brownie mix. The Ghiradelli triple Chocolate Brownie and so I make those up and use fun cookie cutters to make great shapes with the brownies (once cooled). Looks fun on the skewers too. I’ll have to look for that mix at Costco – thanks!